A sudden realization came to my mind on 10th February, 2014. 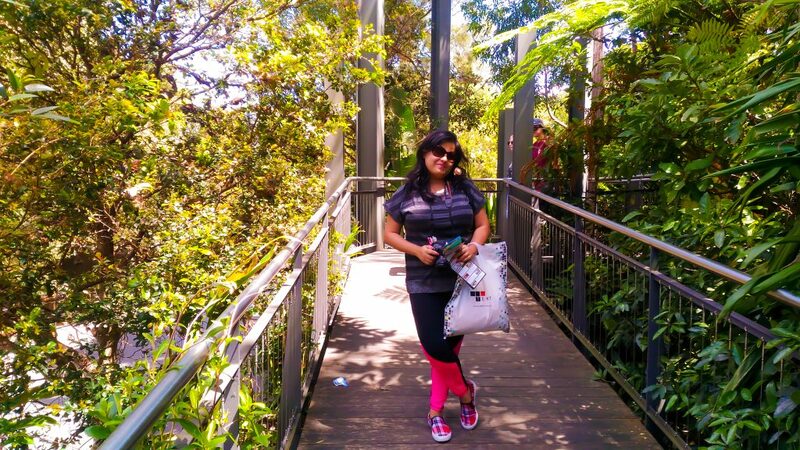 Why should not I visit an auspicious place on the valentine day to give myself a long outing & recharge my soul this Valentine day as we first need to love ourselves and our dearest ones (of course loved one means my family…as I am happy to single). So on 14th February as decided started a journey towards Ajmer sharif through Satabdi Express.I decided to visit the auspicious cities of Ajmer & Pushkar with my dearest family members to make my Valentine day celebrations truly unique and soul-rejuvenating. Nizamuddin Darga:-But before going to Ajmer sheriff, it’s a legend that one has to take blessing from Dargah of Hazrat Nizamuddin Auliya. 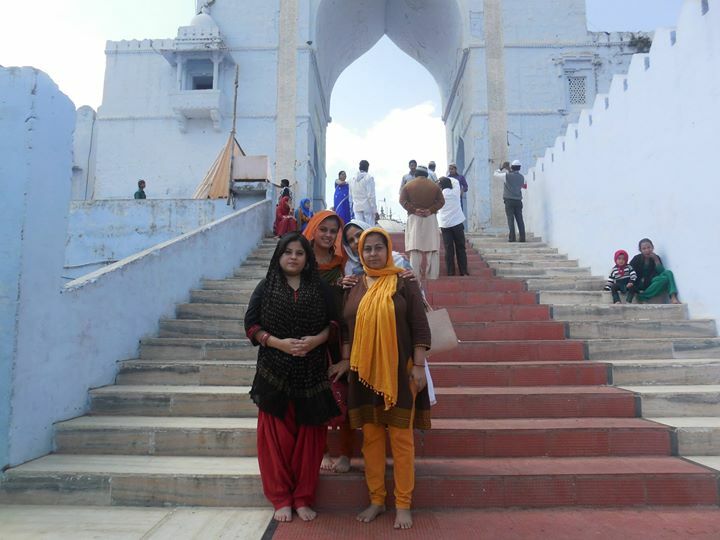 So we first paid a visit to dargah and on Friday afternoon we left for Ajmer. 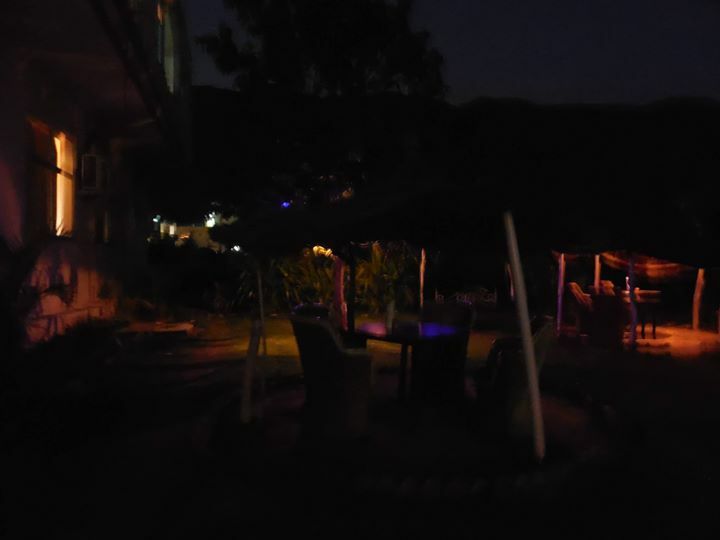 As I am little research oriented so already booked hotel at Pushkar because of its soothing beautiful view which mentally refresh our mind as well as give the romantic feeling. On the globally popular day of Valentine when everyone re-affirms their love for dear ones…I took a different route of this re-affirmation and transformed this Valentines day into an auspicious day by undertaking a divine pilgrimage to Ajmer Sharif.Apart from this Little research about the history of Ajmer sheriff & Pushkar is provide me the knowledge to gather information about the place as well as the holy sacred place so we can know the history behind the city & our hungry eyes can capture the view & portrayed the history with a glance…. The station was too neat & clean. On the way to Pushkar from Ajmer I found the city was clean & clear. At night the view of Anna sagar lake was fabulous. On the way we halt for dinner at Oliver kitchen & trust me the taste of that Muslim Restaurant was awesome. But we did not expect what happened next?? This is it, as far as Ajmer Dargah is concerned from my side. Our Hotel was booked in Pushkar. Pushkar is around 15 kms from Ajmer but on hilly terrain and so it took around 45 minutes to reach there.When the cab slowly drove away Ajmer to Pushkar the height of the road ups n ups & we saw from top of the view an amazing night city… stunned, & loved the city at first site…. I really fallen love with the place at first site on valentine day….. Ajmer is surrounded by the Aravalli hills from all the four sides. So from the sky it seems like the city is placed in a large bowl. What captured my mind throughout my visit the two places want to share with my friends who already visited or want to visit the place with rapping of History …..
On 15th February morning we decided to go first Ajmer sharif Dargah. It is said that any devotee who asks a pure wish from here does not get empty hand.As such there is always a huge flock of devotees visiting shrine on daily basis. Ajmer Dargah is also called “Mother of all Dargahs“. Many Political personalities, Big business men, Sportstars ,Celebrities etc. 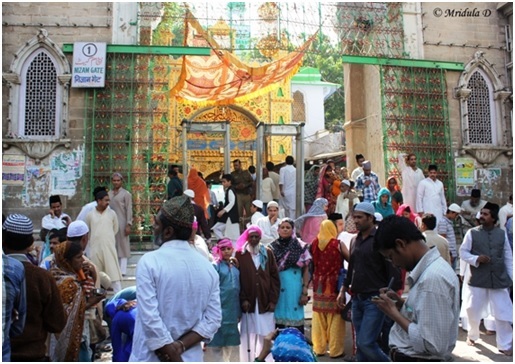 visit this dargah on regular basis for showering their devotion to the Sufi Saint. Ajmer sharif:-The cab driver left us in a narrow street in Ajmer and said we could walk straight to the Ajmer Sharif shrine ahead. When I looked at the crowd my resolve wavered but I somehow proceeded to the entrance. 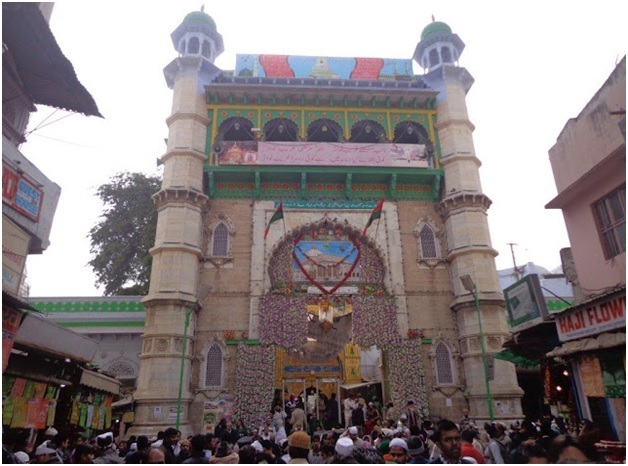 In Ajmer my first stop is Khwaja Moinuddin Chisti’s Dargah, popularly known as Dargah Sharif and is one of the places to visit in Ajmer. I have read all along right through school to now that the people of all religions hold the Sufi saint in high esteem. Being a day dreamer, I actually look forward to the place with a Sufi song “Khwaja mere Khwaja, dil mein sama ja” playing in the back of my mind ! While going towards the gate, I keep wondering if it is like this every day or is something special today. Might be my heart filled with devotes to Khwaja. You do not need a map to find a way to dargah, just stop anywhere and ask for the direction to the dargah or Garib Nawaz, and you will be shown the way to mausoleum that is located beyond the huge constructed red sandstone gate. 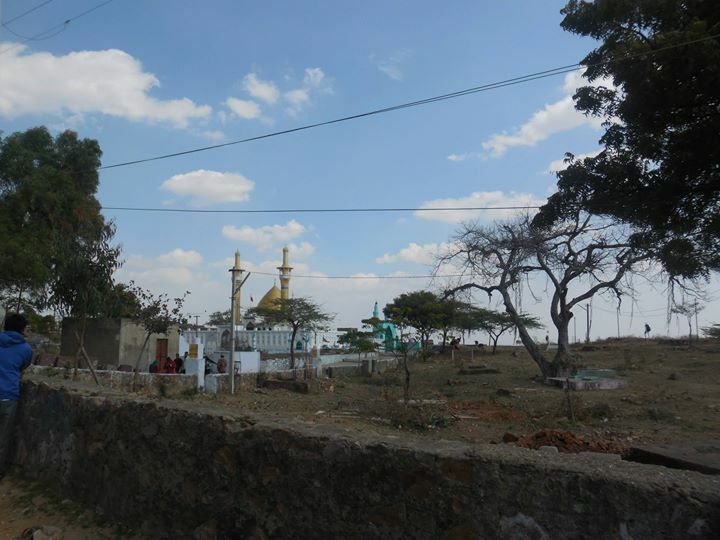 Dargah has a huge gate donated by the Nizam of Hyderabad, a mosque donated by the Mughal emperor Shah Jahan, known as Akbari Mosque and the domed tomb of the saint. Just outside the main gate, there are numerous shops selling food, flowers, incense sticks and anything and everything that you might need in your life. Almost all are carrying trays of flowers and colorful Chadars to offer at the Dargah and want to take their pictures clicked with the tray of offerings. We walk through small lanes full of shops and reach a place where it joins a larger road and on one end is the huge gate of Dargah. . Lot of devotees from all over the world had come to this place to pay their tributes. The whole atmosphere was intense with piousness all leading towards the huge gate of this mighty Dargah.This gate is called Nizam Gate and it was built by Nizam of Hyderabad Mir Osman Ali Khan in 1915. Inside Ajmer Sharif :- As we entered it, as the convention goes,we had to cover our head with a dupatta. When I entered the place, the only thing I had noticed was the tomb covered in its various decorations and the quiet. I was surprised at the silence the sacred place commanded out of people and I knew instantly why this place is so special in so many hearts out there. Inside Dargah I found khadims helping devotees, dervish appealing for alms, bhisthis offerinf water and pilgrims seeking blessing of Khwaja Moinuddin. 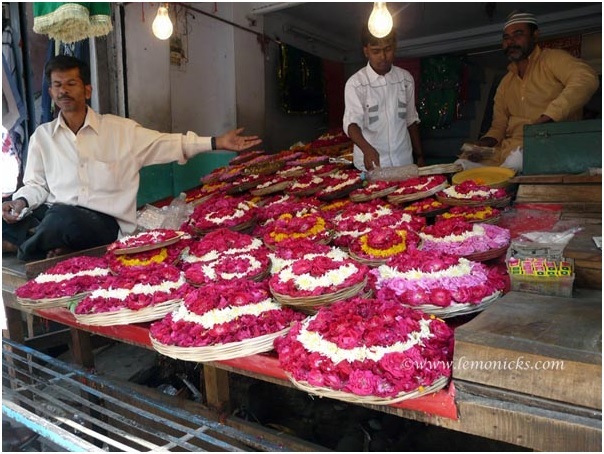 In the courtyard you will array of shops selling pink roses that devotees offer to Khwaja. Hazrat Khawaja Moinuddin Chisti, the “Khawaja Saheb” or the living spirit as he is reverentially called attracts not only the muslims as the place ought to be but the people of all faiths and religion. I could see people from all faiths and creed here the moment I started walking towards the Dargah. We went down to the women’s section to offer the namaz. The music was still in my head as we walked later through the dargah complex, buying a few souvenirs for family. There is something about sufi music which remains with you, forever and ever. 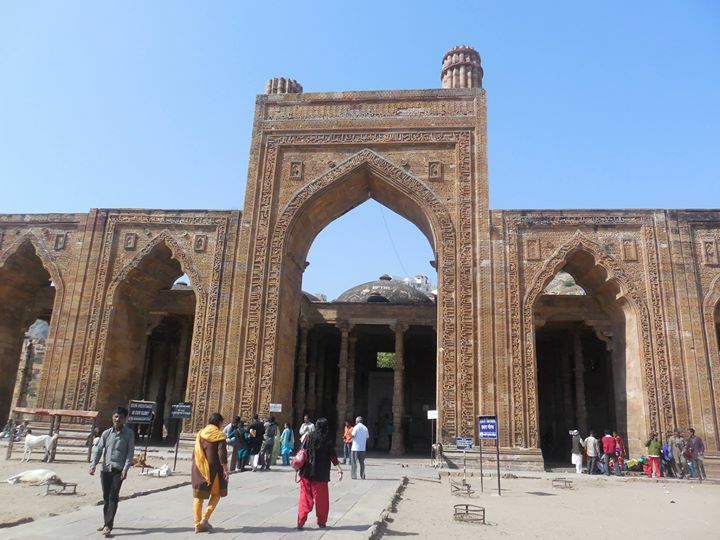 It also makes you silent and contemplative… The second gate is called Shahajani Gate made by Mughal Emperor Shahajahan. It is followed by Buland Darwaza, upon which flag is hoisted. After entering the second gate one comes to a open space where there is a dome and structure in the centre which houses the tomb of Sufi Saint Moinuddin Chisti. There was huge rush inside. We went inside after standing in the queue and had the darshan of the great saint lying in his revered tomb , offered our flowers, Chaddar and came out side. There are mosques made by Emperors Akbar and Shahajahan with extremely beautiful Mughal Architecture. All the 99 sacred names of allah with 33 quranic verses are beautifully inscribed in the Shahajahan mosque. It is really crowded where the actual shrine is, the claustrophobic, shoulder to shoulder without any breathing space kind of crowded. I don’t know how I ended near the officials who bless you. One of them invited us inside the chadder and blessed me. It would have been a beautiful feeling but for the money exchanged involved and demanded. I was still fine but when two other officials insisted on giving their blessings, I was a bit dazed because it involved money every time! I wish I had my wits around. Usually I am quite vehement in a Hindu temple but being in a dargah I was just not sure what was the correct behavior. Jama Al-Tamish Or Dhai Din-Ka-Jhonpra:-There are more ruins as one takes the lane on the side of the Dargah, eventually leading to the Adhai-din-ka-Jhonpra Mosque. Do not miss this place if you are in Ajmer. The Dargah includes many other attractive buildings, tombs, courtyards and Daalaans, some of which are exquisite specimens of the Moghul architecture and were erected during the Moghul period. One of the oldest and most interesting historical building of Ajmer, is Jama Al-tamish popularly known as Dhai-din-ka-Jhonpra, situating in Ankerkot at the foot of the Taragarh hill According to Tod Rajasthan ” it is a relic of nobler days and architect and the antiquarian because of its multifarious artistic attractions.The monumental mosque has, however, been the subject of diverse opinion about its origin. 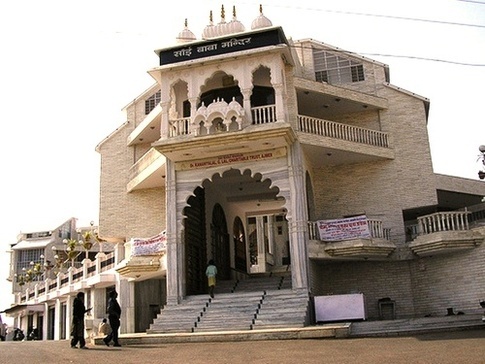 According to Ajmer Historical and Descriptive (by Dewan Bahadur Harbilas Sarda) it is claimed to be a Saraswati Mandir which is said to have been built in 1153 A. But according to the Arabic inscription appearing on the marble arch in the centre of the mosque it is recognised to be a mosque ever since its origin which was built by Sultan Shahabuddin Ghori.In any case, this magnificent mosque is one of the rare historic monuments of India. There is a rich variety of Quranic verse inscribed all over the building to tax the brains of both inquisitive historians and the antiquarians alike . In short, it is a model of excellence in the art Indian architecture. We bought many handmade bags, dupatta from the market & way to another Temple Sai Mandir. Huge Temple is there. When we reached around 12.15 we enchanted Sai-Bandana which was beautiful . 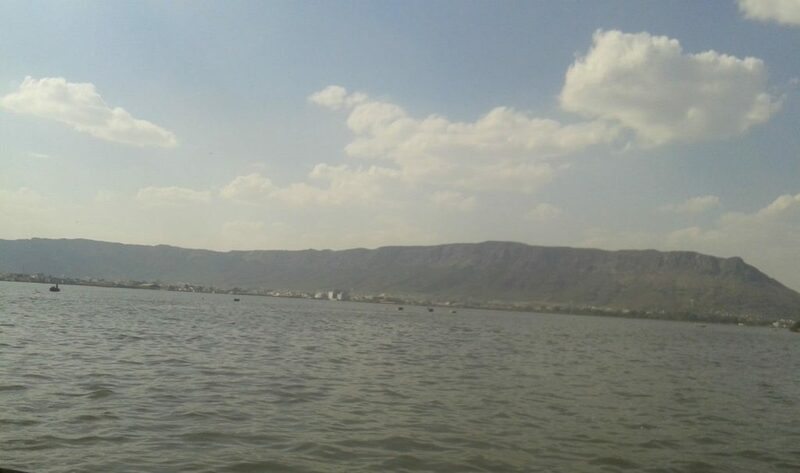 Anasager Lake:-I had heard a lot about Ana Sagar Lake Ajmer and I was eager to visit the place. So on my first day at Ajmer, after visited Darga & Sai Temple we rushed to go a Dhaba named Mahadev Dhaba & had awesome Daal,Bati & Churma , we decided to visit the Ana Sagar Lake. If you are with your partner the lake might best for the romantic place for you. Because its sensibility & the soothing weather would create a love atmosphere between you. The awesome place & again in my mind captured with a romantic song. The lake looked large, sprawling over 13 km and I could see a lot of tourists walking here and there. 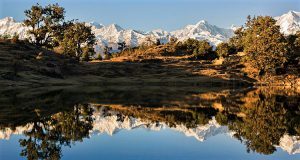 The lake was constructed by Anaji Chauhan, who was the grandfather of the Famous king, Prithviraj Chauhan. It is an artificial lake and it was the local people built the catchments. At the centre of the lake I saw an island and lots of people were going to the island by means of boats. A lover of adventurous sports, we opted to take the boat to each the island and have a ride on the lake. After returning back to the banks of the lake we took a walk around and saw that there were many fishes in the lake. At one place I saw toy trains and small rides for children, which the kids seemed to enjoy a lot. The marble pavilions built by Shah Jahan looked very impressive and beautiful. 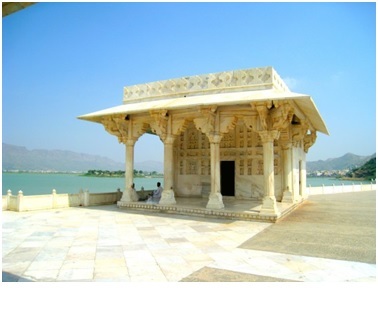 It was built to commemorate his stay at Ajmer. Another attraction is the Daulat Bagh Gardens that surrounds the lake, which was built by Jahangir. The Indian Government renovated the garden and now it is one of the main attractions here, providing a peaceful ambience to the visitors. Dargah Of Miran Syed Husain:-On the highest point of Taragarh fort stands the Dargah of Hazrat Miran Syed Husian Asghar Khangswar who was the governor of Ajmer after its conquest by Sultan Shahabuddin Ghori. We visited Darga & pray infront of the shrine. Here we met a moulabi & he described the story about Sayed Mirza baba. The most important thing I noticed that in Nizamuddin & in Ajmer darga we bought colorful Chaddar to cover the shrine but here you need to buy white cover. The Fort Of Taragarh:-According to Akhbar-ul-Akhyar, the first fort built on a hill in India was the fortress of Taragarh at Ajmer. Its unique defence and strength lie in the impregnable ruggedness and acclivity of the mountain upon which it is built. This ancient fort has seen many historic battles and nerve-wrecking sieges and has changed hands with the Rajput, Muslim, Maratha and the British conquerors during its long and checkered history. Ajameru Doorg, as it was originally called, was built by Raja Ajairaj Chauhan who was the king of Sapadlaksh territory having Sakambhari (now Sambhar as his capital in the early part of 6th century A.D. He also built the town of Ajmer and the village of Ajaisar, lying in the south of Foysagar lake, still commemorates his name. We visited the fort for few minutes, so not elaborated here. After visited the Ajmer we tired for sure, but our mind is so cheerful to visit Pushkar & grasp its scenic beauty & for this reason we were step ahead to Pushkar. 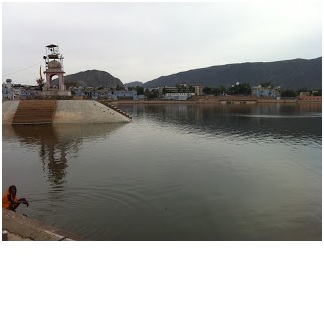 Pushkar Lake :- Anything even remotely related to Pushkar Lake has a halo of sacredness and divinity. Legend has it that a dip in its waters cleanses all the sins and is the surest way to achieve salvation from the cycles of life. Circled by some five hundred odd temples, the lake has 52 ghats, which connect the temples to the water. These ghats were constructed by the rulers of the different erstwhile princely states of Rajasthan and some of them are aptly named after the states. Hindu religious beliefs by non-Hindus, since the ghats and the temples are linked to the divine lake. The sacred water of the lake is said to be curative of many skin diseases.So we touched the lake water with believe in mind. Local belief is that water around each ghat has a special curative power.While many ghats have been named after the Rajas who built them, some ghats have particular importance. Varaha ghat is so named since Vishnu appeared here in his incarnation of a boar (Varaha). Brahma Ghat is so named since Brahma bathed here. Brahma Temple is the only temple that is dedicated to Lord Brahma in India. Located near the Lake at Pushkar in Rajasthan, Brahma Temple receives many pilgrims to its doorsteps every year. Built in the 14th century, Brahma Temple commemorates Lord Brahma, who is considered as the creator of this Universe according to the Hinduism. Lord Brahma is one amongst the trinity of Hindu Gods, the other being Lord Shiva and Lord Vishnu. For the Hindus, Brahma Temple is an important pilgrim place. Raised on a high platform, the temple lies in the Pushkar valley that is known for its scenic beauty.The main shrine houses the life-size image of Lord Brahma with four hands and four faces, facing the four basic directions. An image of Goddess Gayatri, who is known as the milk Goddess, can be seen near the idol of Lord Brahma. The walls of the temple are adorned by beautiful images of Peacock and Goddess Saraswati. From the temple, there is a silver door that leads down to a small cave. This small cave comprises a temple of Lord Shiva. 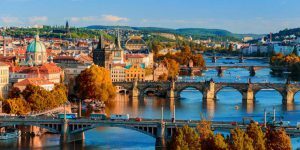 The beautiful travel is memorable for its peacefulness. Ajmer is a well known pilgrimage center for the shrine of the Sufi Saint Khwaja Moinuddin Chishti as well as it is also the base for visiting Pushkar, an ancient Hindu pilgrimage city, famous for the temple of Lord Brahma. 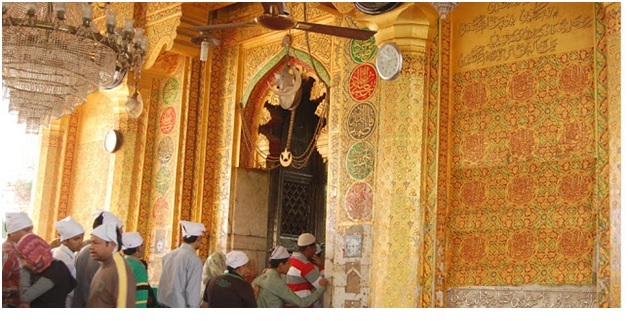 Hence Ajmer is a home for people belonging to different castes and creeds. People here follow the concept of Live and let live. 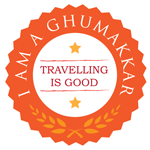 My travel , my journey continue again as I am the child of the God & want to fulfill my thrust to visit the places, meet the cultures, the the region & for that after visiting Ajmer I realize that if there is peace & god’s bless on Earth, It is here. I love you photos! Your stories are always exceptional!